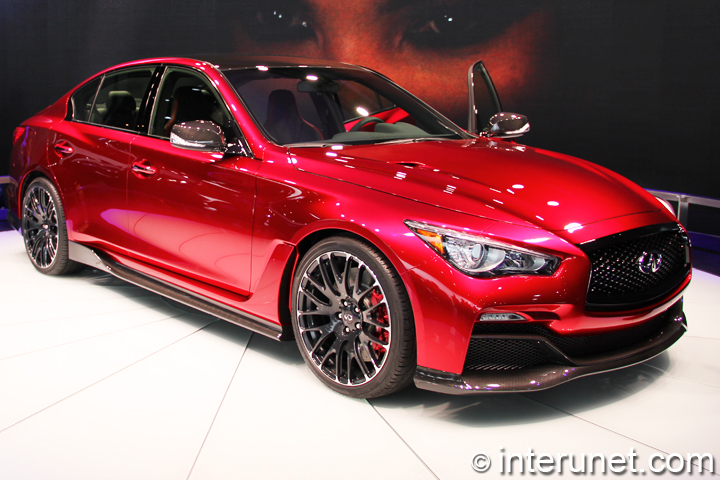 Infiniti Q50 Eau Rouge on display at North American International Auto Show in Detroit. Infiniti Q50 Eau Rouge front view. Infiniti Q50 Eau Rouge side view. Infiniti Q50 Eau Rouge rear and side view. Infiniti Q50 Eau Rouge with doors opened.